Pencil in that vacation! We’ve got your fully functional, fully customizable calendar right here. 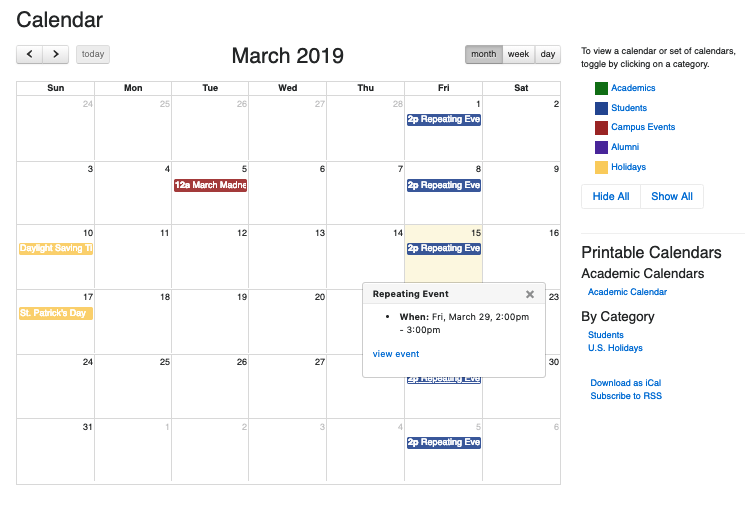 Web calendars can be a headache to manage, especially for large organizations with multiple departments, categories and types of events. Well, put away the acetaminophen, and download our Calendar Site today! In addition to having a completely customizable skin that can blend right in with your visual brand, the Calendar Site also offers a variety of different viewing and syndication options. 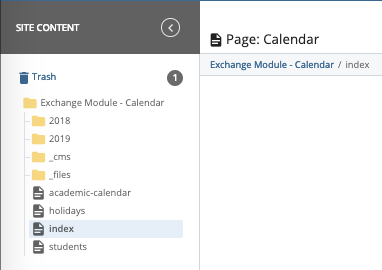 This means you can manage calendar events for your site and syndicate them across several other sites, so you maintain consistent information across your entire organization. Calendar Grid for month view, list view for week and day view. Filterable by category(ies). 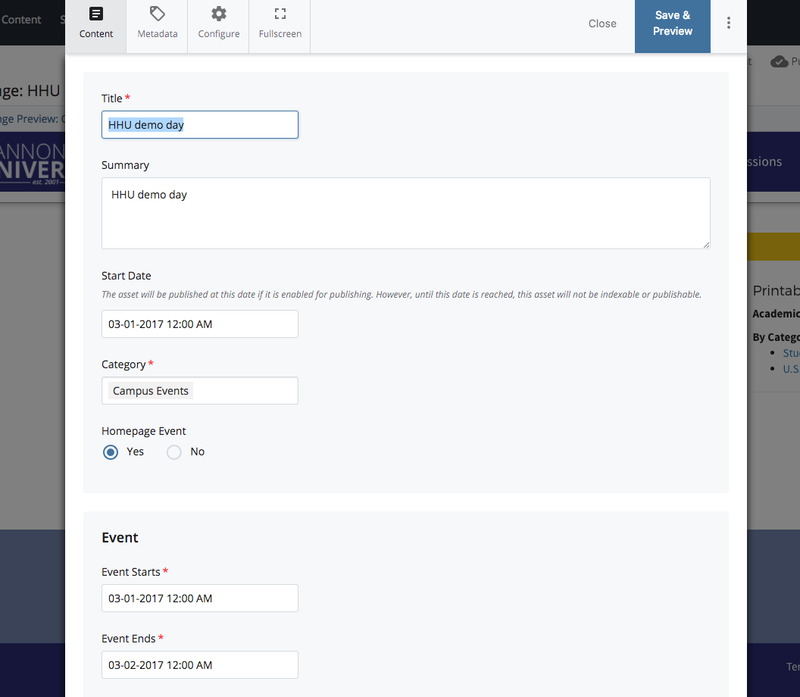 List view for events within selected category(ies). Folders for yearly and monthly organization of events. Landing Page for events within a given year or month. Repeatable events using daily, weekly, monthly and yearly options. Multi-channel output for a variety of pages (XHTML, RSS, iCal, XML). To download, fill out the form below! Publish and share all of your press releases from a single Site.